Companies that have goods and services to offer the consumer spend a good deal of time on strategy. They need something that the consumer wants of course, and the real challenge is to marry the two, consumer and product. Every company needs to reach its target audience. Many have perfected the best way to do that by creating dialogue between people who have made positive enquiries through their website because they are interested in their goods and services. That is the ideal world and can lead to a good conversion rate, sales in proportion to enquiries. The problem comes from companies who decide that the telephone is the means of success much to the annoyance of many subscribers. In a less than ideal world there are companies that decide that the only way they can succeed is to contact as many people as possible and hope that it leads to sales. The margin per sale needs to be good. The commission rate for anyone making a successful sale also needs to be high in order to attract anyone prepared to do the job. Staff turnover is high. That policy is the reason why there are so many unsolicited telephone calls from salesmen who simply have lists of numbers to call. 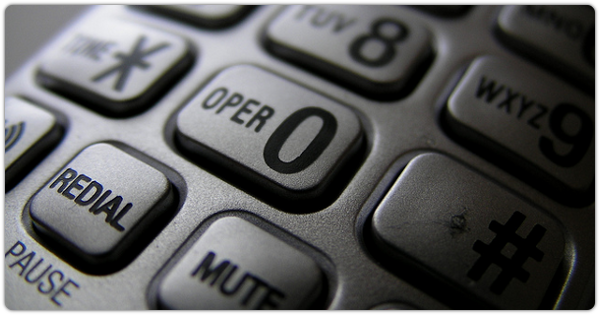 Automatic redialling technology means that if the phone is not answered the call can be repeated periodically. It is not good news for someone home from work and just wanting to relax. There may not even be someone on the other end of the phone if there are more telephones in the call centre than operatives actually manning the phones at the time. In any event, the process of getting rid of this nuisance is available but there are varying degrees of success. You can get a service to block unwanted calls but it is certainly worth investing some time in finding out how effective the actual systems are and selecting the best. You may decide that having an ex-directory number will help. After all that means you are unlikely to appear on the lists that salesmen can access. You will need to give your number to people whom you actually are happy to talk to. Inevitably that means you will not have complete security because someone may innocently provide your number to a third party. The best security is to get anyone that is withholding their own number when calling blocked from getting through. At the same time you can also join a system whereby any blocked number is blocked right across the board. No one claims to have eradicated nuisance calls completely. The number of people that are still complaining suggests that there are still ways to get through. One system that is certainly worth considering is community call blocking that blocks any number right across its system once a nuisance number is identified. It is like being in a community of people who are all policing calls for the common good. Very effective indeed!